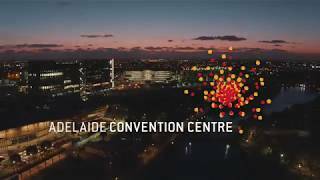 Fresh from a $397M redevelopment, the Adelaide Convention Centre (ACC) is one of the world’s most modern, flexible and technologically advanced venues. Comprising three seamlessly integrated buildings, the centre spans 20,000sqm of multi-purpose space. The new East Building is the pinnacle of innovation with a 3,000+ plenary capacity. In addition to its modern facilities, the centre is known for its creative menus, expert service and innovative technologies. The ACC is positioned at the heart of Adelaide’s Riverbank Precinct, just 15 minutes’ drive from Adelaide International Airport. In the midst of a multi-billion-dollar rejuvenation, the Riverbank Precinct is where the city’s cultural, sporting, education, medical, conference and entertainment zones merge, helping make Adelaide Australia’s Convention City.